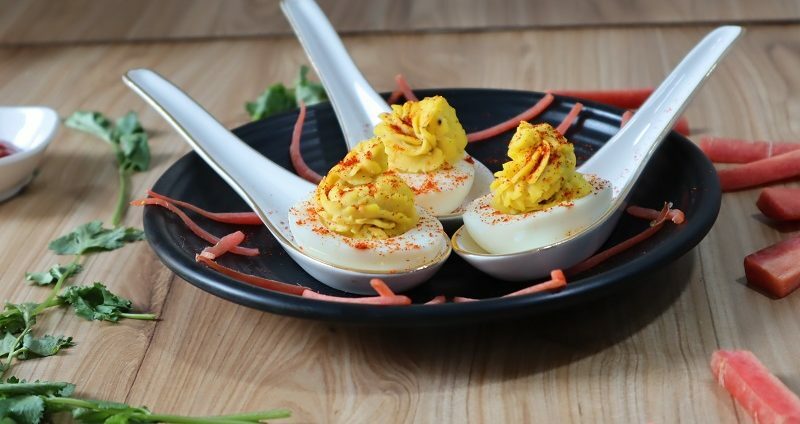 Deviled Eggs are a simple and scrumptious recipe made out of hard-boiled eggs. Hardboiled eggs cut into half and the yolk mixed with mayo or mustard mayo. 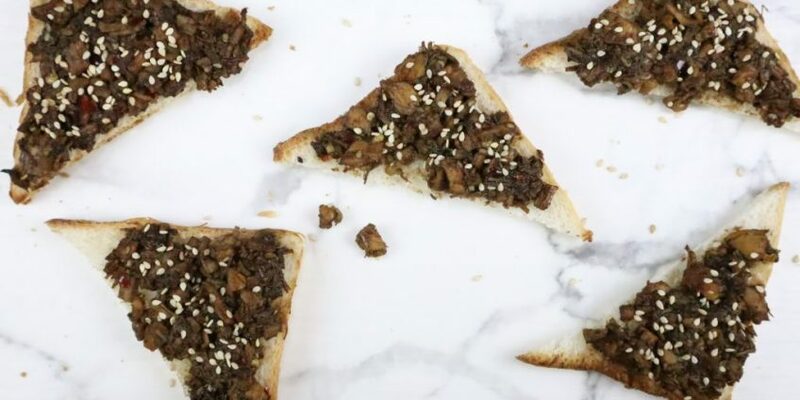 All-in-one recipe that can be used for breakfast, a side dish and an appetizer. 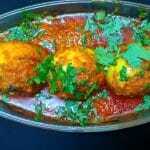 Can be an eye pleaser especially in parties and gatherings. 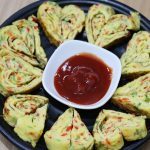 Try making these on a lovely Sunday morning for your loved ones. It can also be snack food for your evening hunger. Origin of deviled eggs goes back to ancient Roman civilization. They are also known as stuffed eggs, Russian eggs or dressed eggs. 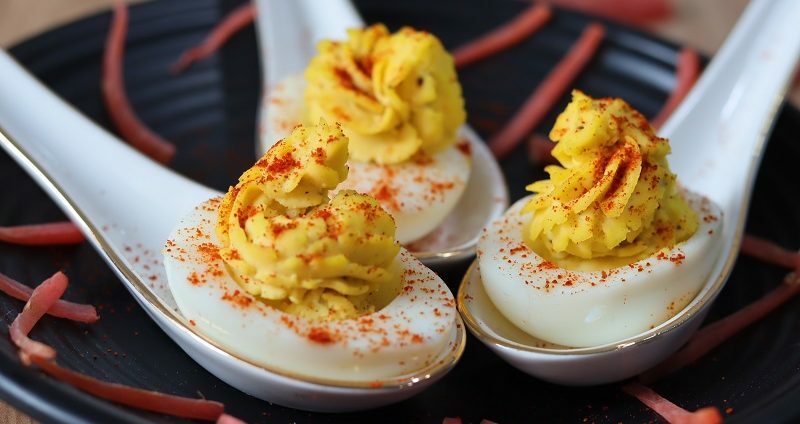 Deviled eggs are very common in the United States. 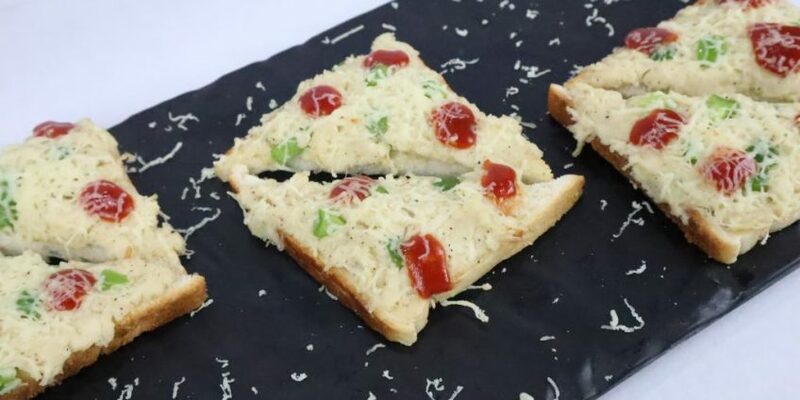 Usually served as an appetizer before a full meal is served especially during the Christmas season. Take water in a pot. Add eggs to it. Cook for 8-10 minutes. Close the flame and cover the pot. After 2 minutes. Take the shell off. Cut the eggs into half and remove the yolk from it. Gather the yolk in a bowl. 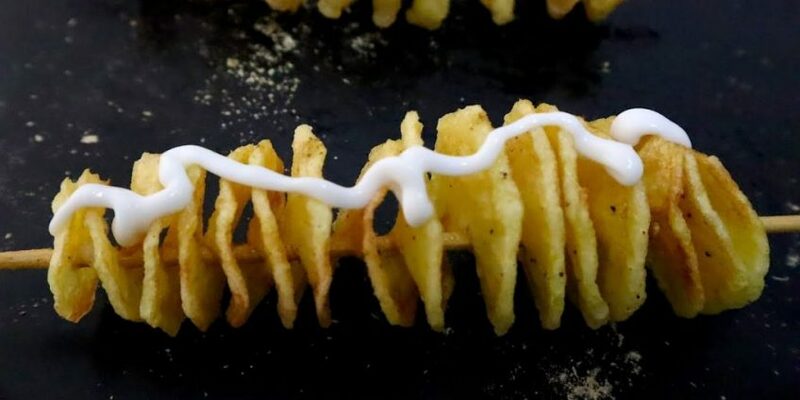 Add mayonnaise, black pepper and salt to it. Fill it in a piping bag with the desired nozzle. 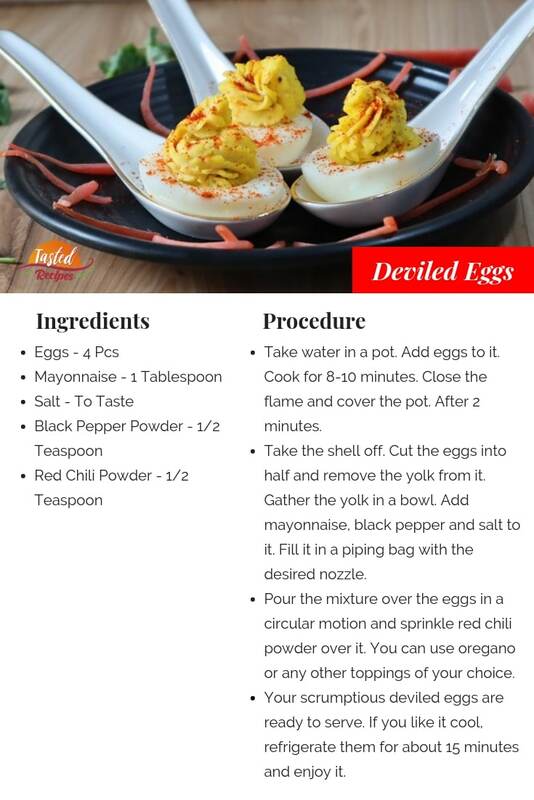 Pour the mixture over the eggs in a circular motion and sprinkle red chili powder over it. You can use oregano or any other toppings of your choice. 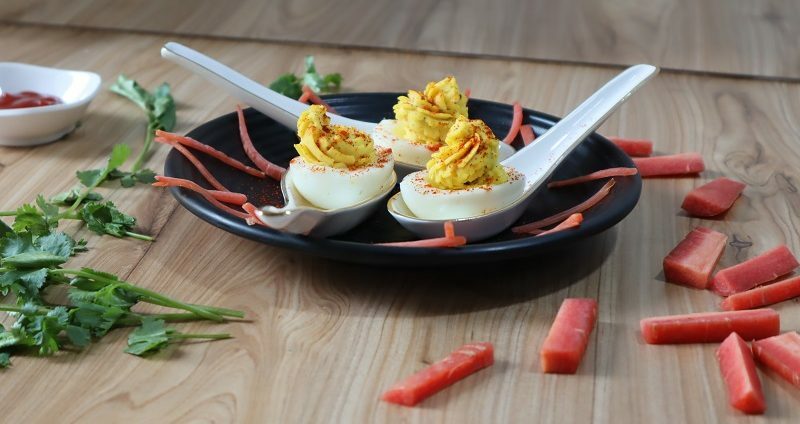 Your scrumptious deviled eggs are ready to serve. If you like it cool, refrigerate them for about 15 minutes and enjoy it.